American Routes celebrates music and musicians from New Orleans, Mississippi and French Louisiana. Recorded live at New Orleans’ venerable (1906) Civic Theatre, the show features New Orleans clarinetist Dr. Michael White and the Original Liberty Jazz Band with the definitive Creole music born in the Crescent City: traditional jazz. 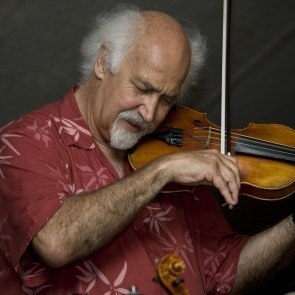 White is joined by fellow NEA Heritage recipient, Cajun fiddler Michael Doucet and the influential band of the French Louisiana cultural revival BeauSoleil (‘good sunshine’). The downhome blues of guitarist and wordslinger Little Freddie King of McComb, Mississippi kicks off the show and the spirit-filled gospel of Electrifying Crown Seekers from New Orleans’ west bank take us home. Our special guest is beloved jazz vocalist Topsy Chapman, also famed locally as the first black cocktail waitress on Bourbon Street in the 1960s.